Enable Two Factor Authentication on Discord Server: If you are on this blog then you might know about the Discord app. Right? So, we need not elaborate more about this VoIP service tailored for the gamers. This app has surprised the entire gaming community with the services it offers to the avid gamers. The lost of customization features it brings to the users is what the gamers like about it. It has already outraged a number of big players in the industry and has become a revolutionary VoIP service over past two years. The multiplayer online gamers are surely in love with this stunning app. If you are the proud owner of any Discord server then this article is especially for you. Here, we will tell you about providing an extra layer of security to the server so that the fake attacks can be stopped to a certain level. The two-factor authentication is one of the most powerful methods used by a number of organizations to protect their networks from the attacks of hackers. This powerful feature is available on Discord servers as well. So, we have come up with a guide that will help you to enable two-factor authentication on Discord Server for its security. How to Enable Two factor Authentication on Discord Account? You should remember that if you haven’t enabled the two-factor authentication on your Discord account then it is impossible to enable two-factor authentication in Discord server. So, follow this brief guide to enable two-factor authentication on Discord. Login to your Discord account and click on the gear icon located on the bottom left corner of the client. It will take you the ‘Account Settings’. 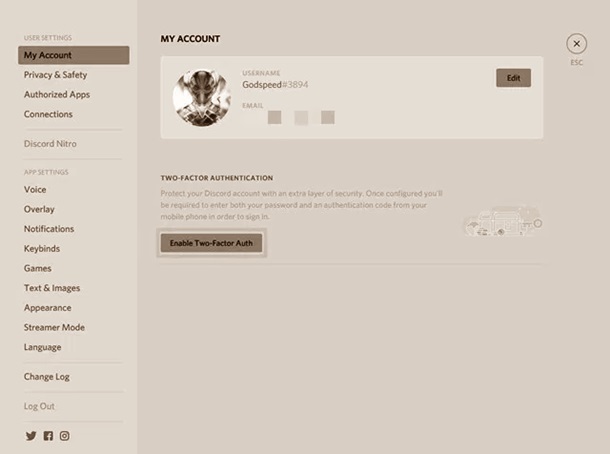 Click on the ‘Enable Two-Factor Auth’ in ‘My Account’ section. 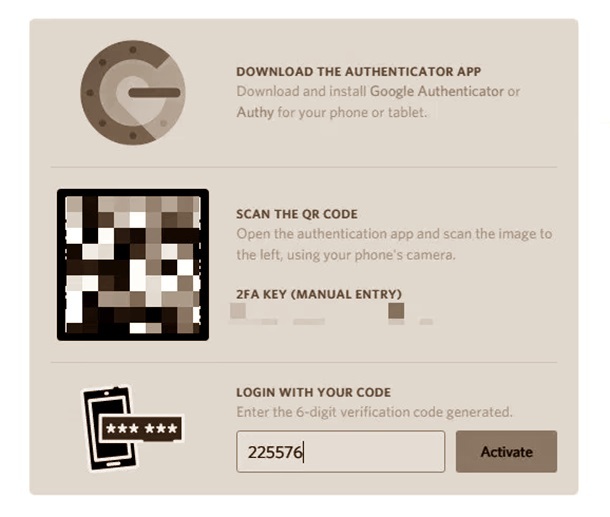 You will now be asked to download the ‘Google Authenticator App’ for the smartphone to generate the authentication code. This application is available for both Android and iOS devices and can be install directly from the PlayStore and AppStore respectively. After you have installed the application, open it and then click on the ‘+’ icon which can be found on top-right corner of your screen. 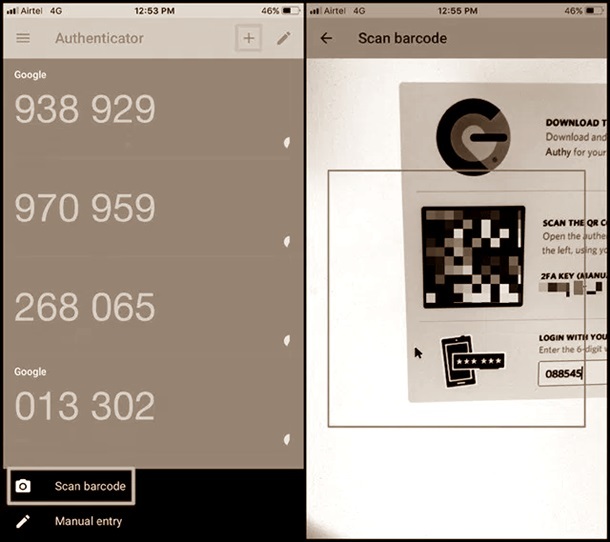 Tap on the ‘Scan Barcode’ and then point phone’s camera at the QR code which will be displayed on the Client. The authentication codes for the Discord account will be displayed in the app. You now need to type this 6-digit code in your Discord Client and then click on the ‘Activate’ button. Congratulations! You have now successfully enabled the two-factor authentication on the Discord account. Now, proceed with the next step for enabling two-step authentication on Discord server. How to Enable Two factor Authentication on Discord Server? After you have learned to enable two-step verification on Discord account, it is the time to learn how to enable server wide two factor verification on Discord server as well. Follow this below mentioned tutorial that is the best method to do so. 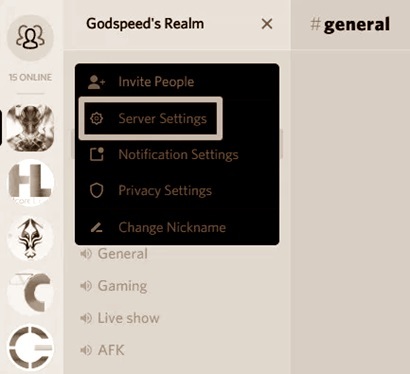 Click on the ‘Server Name’ once you have entered the Discord server and then move to ‘Server Settings’. Go to ‘Moderation’ section and then scroll down to the bottom to click on ‘Enable 2FA Requirement’. You must have the 6-Digit Discord Auth code which is displayed on the Google Authenticator App to confirm. 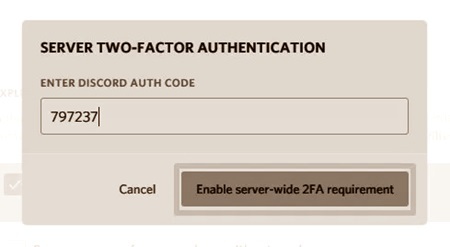 After doing so, click on the option ‘Enable Server-Wide 2FA Requirement’. This is how you can enable two step verification on Discord server without any hassle. Discord is a capable tool and can handle the malicious attacks through its powerful defense algorithms. However, the two-factor authentication comes into the picture just to safeguard the server administrator from the users who try to take wrong advantages of the privileges given to them. This handy feature can safeguard many of your Discord Servers. The two-factor verification adds an extra layer of security, it is totally worth to keep it enable, regardless of some hassles you need to face in installing the Google Authenticator app and then getting the 6-Digit code and then matching it while log in. There is no other better way than this for protecting your account. The two-factor verification makes it next to impossible for just anyone to hack in to your server or account without your permission. This is how one can enable the two-factor authentication on Discord server and can easily protect it from the spies. To enable it on the Discord servers owned by you, you must enable it on your Discord account. Try it now and enjoy this extraordinary feature of the Discord app. Create Discord Private Server without Passwords : So, if you are looking for a tutorial that can explain you the method to set up the Discord Private server with ease then you have chosen the right destination to rely on. Here, you will find an extensive and easy guide that will tell you about the easiest ways to create Discord Private Server without Passwords. Make sure you have given the permission correctly before creating a server. After that, follow the below mentioned guide to create a Discord Server. How to Setup a Private Discord Server? Setting the private server will restrict the access to only a few specified members. This means that the server and channels could be accessed by only a few members that are specified by you only. It is best for setting up the servers for the guild where you do not want any outsider to view the content of your channels. Here is the tutorial on how to create Discord private server easily. 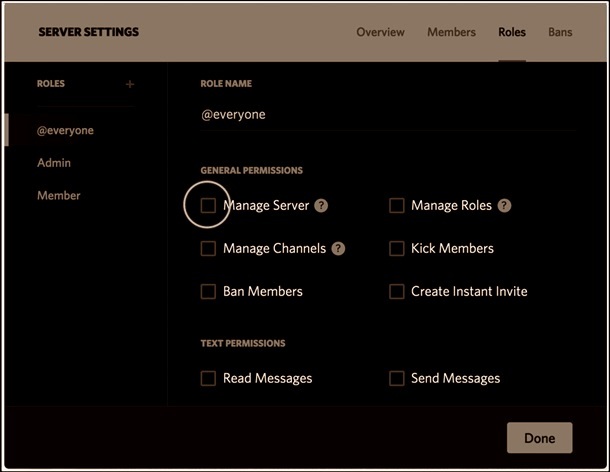 You must disable all the permission for just everyone by clicking on the ‘Roles’ tab that you can find in the ‘Server Settings’ menu by selecting @everyone role and then unchecking all the permission boxes. You must not forget to scroll down and forget unchecking the permissions mentioned below the fold. 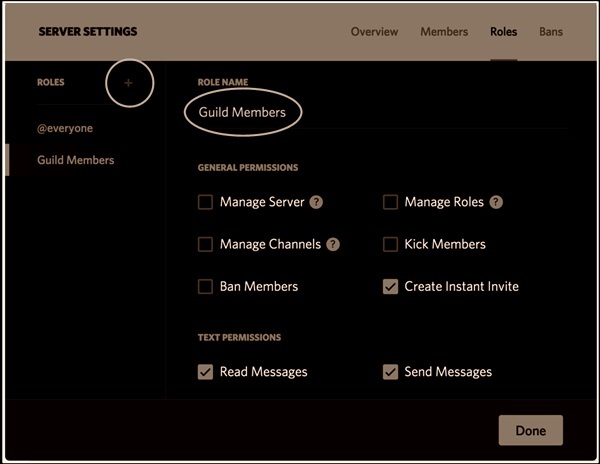 Now, you must create a new user role by clicking on the ‘+’ and then typing ‘Guild Members’. 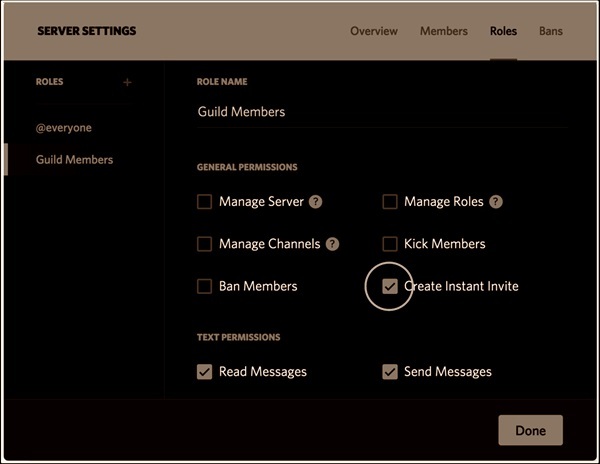 After that, enable the permissions on the ‘Guild Members’ by choosing the role and then clicking on the permission check boxes that you wish to be activated for the role. 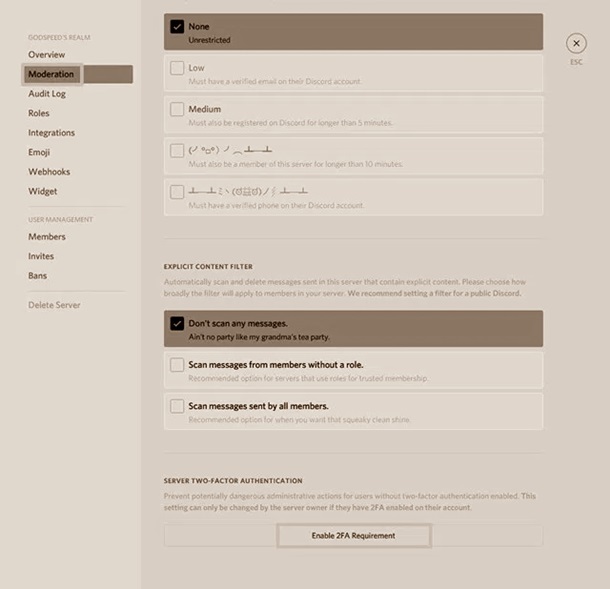 You can see the image below to check how I have enabled the ability for the Guild Members for creating Instant Invite Link, reading and sending the text messages. 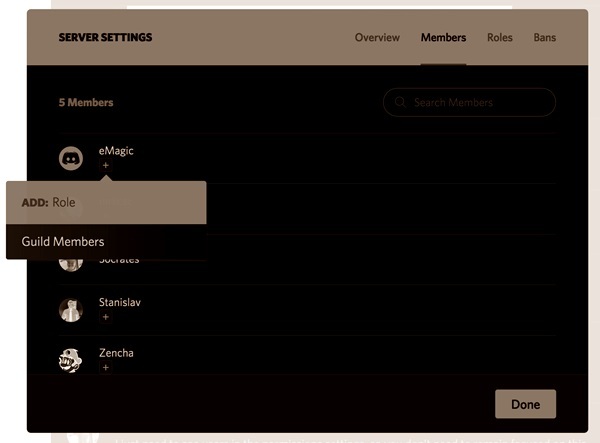 Now, assign role ‘Guild Members’ to all the members who will have access to the server by clicking on ‘Members’ tab present in your ‘Server Settings’ menu and then adding role to appropriate member by simply clicking on the ‘+’ and then choosing ‘Guild Members’. 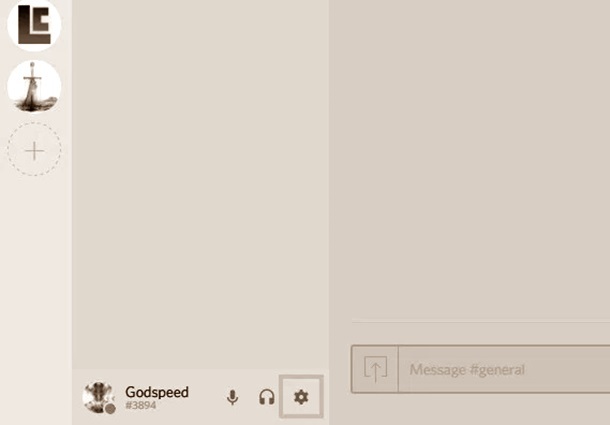 This is how one can create private server on Discord without passwords and give restricted access to the people. Assigning permission is one of the major tasks to do and you should only assign limited permissions to the members who will be accessing the Discord server created by you, otherwise, it may land you into trouble.